• The book is divided into two sections. Section I deals with X-rays and is subdivided to various body systems including respiratory systems, CVS, abdomen, skeletal system and bones, etc. Section II contains CT scans and MRI involving chest, brain and abdomen. • The text has been divided into three parts: (i) Presentation of the film; (ii) Diagnosis and differential diagnoses; and (iii) finally, important related questions and answers with relevant short notes are discussed. • The approach has been easily understandable, concise and does not overburden the clinicians, busy practitioners, consultants and even specialists in the midst of volumes around them. 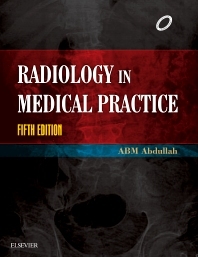 • This book is an excellent guide in radiology, helpful not only for medical students of different specialities, but also for the radiologists, general practitioners and even medical teachers.